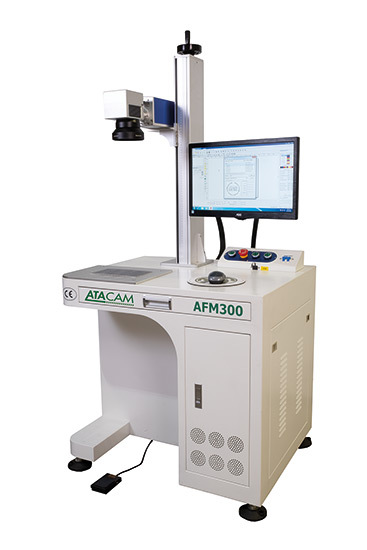 The NEW ATACAM Laser Markers are suitable for use in the marking of Gold and silver jewellery, sanitary ware, food and beverage packaging, pharmaceutical packaging, medical devices, eyeglasses, clocks, automotive parts and electronic hardware. Industry: Gold and silver jewellery, sanitary ware, food and beverage packaging, pharmaceutical packaging, medical devices, eyeglasses, clocks, automotive parts and electronic hardware. Materials: Gold, silver, stainless steel, ceramic, plastic, glass, stone, leather, fabric, wood etc.